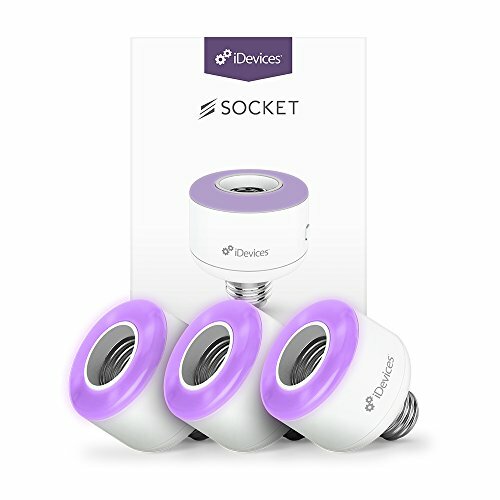 This pack includes 3 iDevices Sockets, allowing you to transform your home's lighting environment. Control, monitor and schedule your lights using the iDevices Connected app along with your Android phone, Siri, or Alexa voice commands. Access Anywhere - Control and monitor your iDevices Sockets from wherever you are using your iPhone or Android device. Customizable LED Night Light - Choose any color, brightness and saturation for the LED night light and even set it to a schedule. If you have any questions about this product by iDevices, contact us by completing and submitting the form below. If you are looking for a specif part number, please include it with your message.